Looking for a fun new theme for your next party? If you are looking for ideas for your next celebration, fundraiser, or anything else in between, say no to the done (and overdone!) Night in New York or Derby themes, and try something new! The rainforest jungle theme is so versatile, and can be used for so many different types of events. For those willing to go all out at their events will be sure to leave their guests saying WOW! Now, if you are not in Florida like I am, this event will probably only make sense during the summer time. But if you COULD host it, and you COULD go all out, wouldn’t it be awesome? In the perfect setting, guests would be welcomed in through an outdoor butterfly habitat, and walk through luscious tropical plants as they make their way into the party. Light fog and background music true to the sounds of the rainforest would welcome them into the jungle of a party. Oh, and lots of fruity drinks for everyone! Umbrellas optional. The surrounding- The more tropical foliage, the better! The palate – fruity fun drinks and tropical flavors are a must. Linen prints – keep the prints to a select few of your favorite animal prints that are roughly the same scale for a cohesive look. Use them as accents if possible, so to not overwhelm the look. 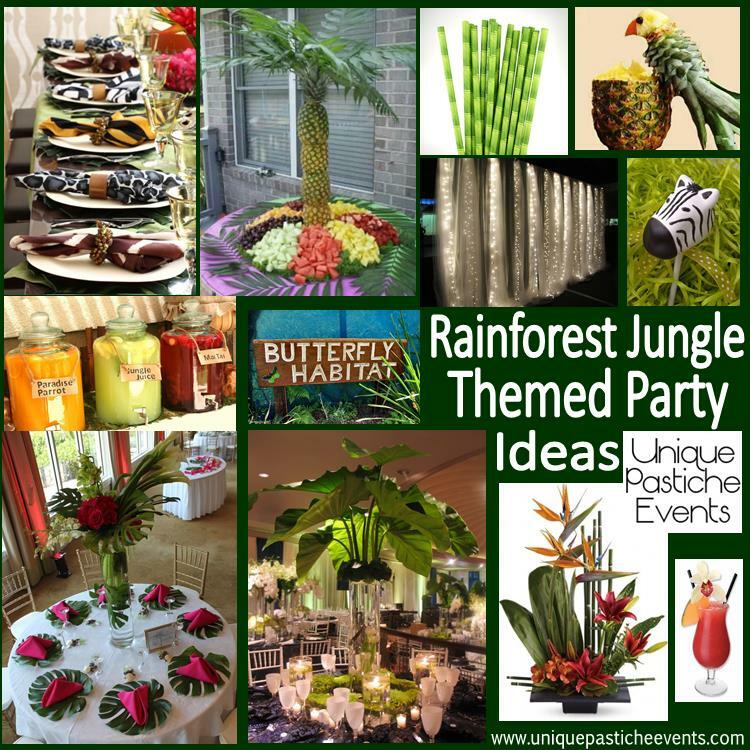 Would you attend a rainforest themed fundraiser party?